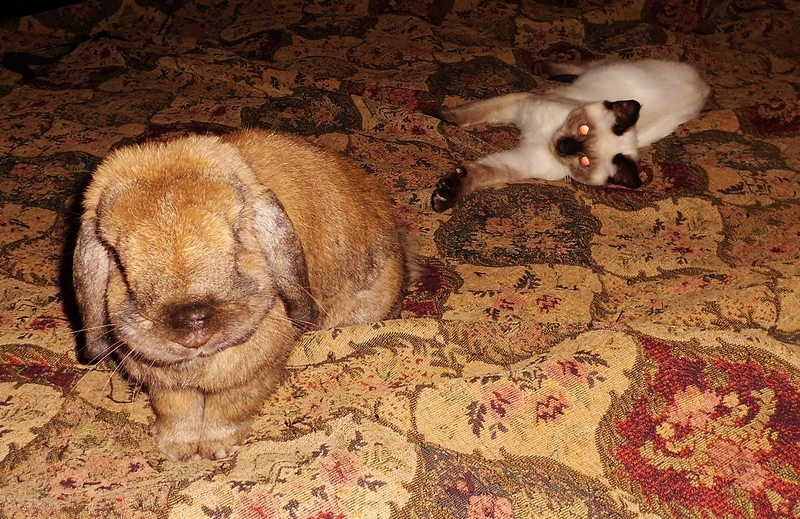 Buster and Mulder are the two fluffy male animals in the Burlingame menagerie. (Technically Jim is a fluffy animal too, but his fur is not nearly as plush). These two are starting to hang out with each other just a bit. Just try to make a coat outta me! I’ll do some serious damage to your ankles! We trained Buster from babyhood to jump up onto our bed for a slice of banana in the morning. We bought some soft stairs because it’s too high for him otherwise. This is a typical scene from our boudoir on any given morning. Watch til the end when Mulder “discovers” the ceiling fan. ← I Have Been Properly Chastised!